There’s always something to look forward to around Paws Up, but springtime may just be the best time to visit the Ranch! (Our guests do say that about every season, however.) 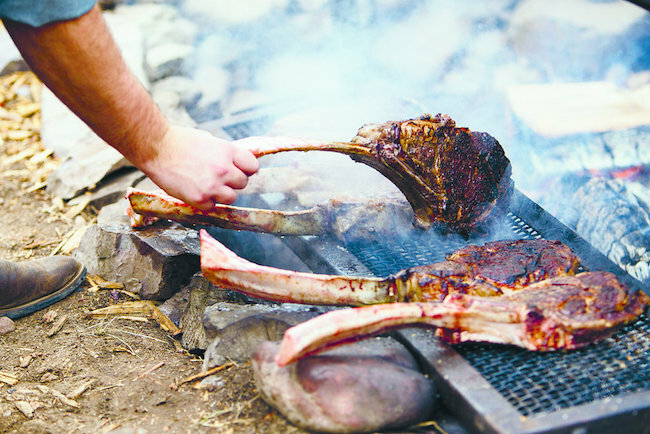 Upcoming spring events you don’t want to miss include the Cowgirl Spring Roundup, AdrenZen and Montana Master Grillers. Each event offers something for various tastes, but they all have one thing in common: breathtaking adventure and a chance to escape everyday life at a luxe resort set right in the middle of the picturesque Montana wilderness. Good luck choosing just one event to attend! This April, five National Cowgirl Museum and Hall of Fame honorees will descend on The Resort at Paws Up to treat guests to four days of intensive learning, laughter and lounging. 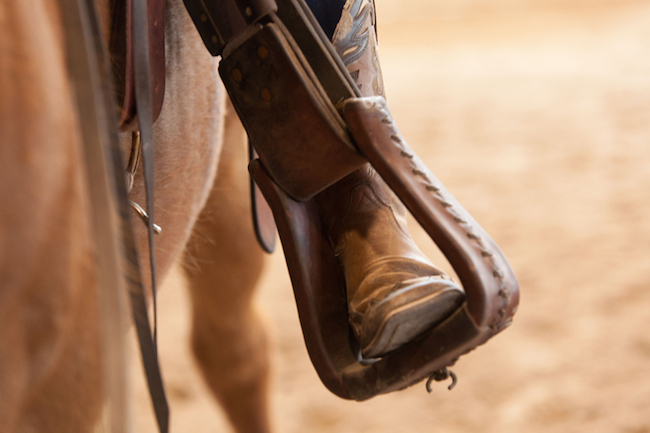 The Cowgirl Spring Roundup (April 27–30) is an authentic adventure that guarantees the ultimate in gal pal memories. You won’t find a girls’ getaway like this anywhere else. Picture this: one-on-one time with real, honest-to-goodness cowgirls plus 37,000 acres of Montana playground, including more than 100 miles of trails and 10 private miles of Blackfoot River access. Ladies will herd cattle, fine-tune their aim shooting sporting clays and choose from a myriad of wilderness adventures to round out the long weekend. But it’s definitely not all work and no play. 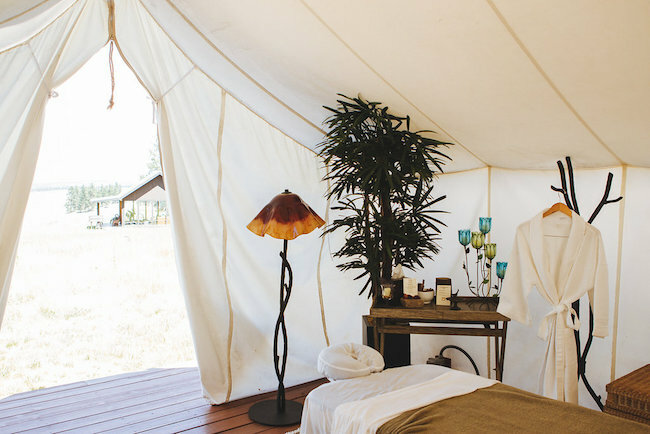 Post-cowgirling, you can count on The Resort to pamper you with spa treatments, gourmet meals and cocktails from Executive Chef Ben Jones and luxury accommodations that include such amenities as hot tubs and personal on-property transportation. Sweeping views of the vast Montana landscape will erase any existence of stress. 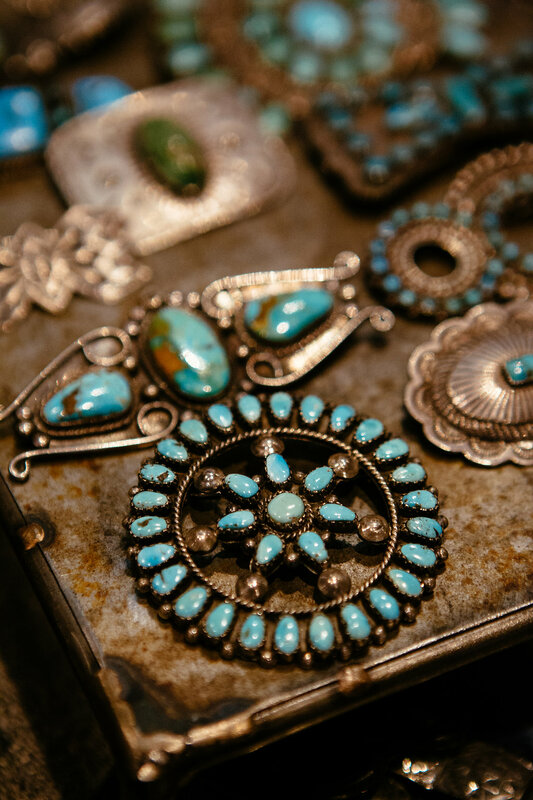 Mother’s Day is just around the corner, so why not give yourself, your mom or both of you the gift of an authentic Western adventure? Only 10 spots are left, so go ahead and add the Cowgirl Spring Roundup to your calendar—in pen!—today. Following the Roundup is our first-ever wellness weekend event, Adrenaline Meets Zen (or “AdrenZen”), May 5–8. 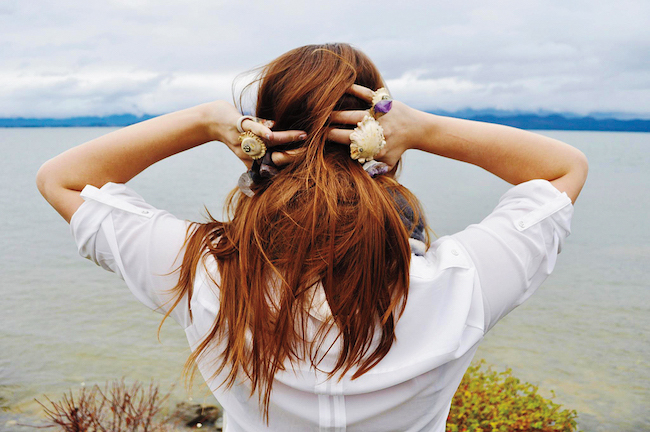 AdrenZen provides the sweet spot between exhilarating wilderness adventures and spirit-cleansing wellness. Don’t worry; there’s no strict dieting during this first-ever event—just gourmet cuisine and health-conscious cocktails and fine wines in moderation. 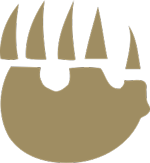 Special guest fitness instructor Jen Widerstrom of The Biggest Loser fame will host daily small-group fitness classes and activities such as the Ranch-Athlon and Grizzlyman Fitness Trail adventures. ATV and rappelling experiences also await, as well as spa treatments and vino yoga led by guest instructor Lauren Taus. We’re all about balance here at Paws Up! In addition to top-notch accommodations at The Resort, other items to add to your Official List of Reasons to Attend AdrenZen are: the Sky Line Aerial Adventure and Challenge Courses, a high-ropes activity tucked neatly into the middle of the forest; spa treatments; horseback riding and fly-fishing. It’s basically the perfect weekend for mind, body and soul. Four outstanding guest chefs will join us, including Beau MacMillan from famed Arizona travel destination Sanctuary on Camelback, Charlie McKenna of Chicago BBQ spots Lillie’s Q and Dixie, the veteran Wayne Mueller from Texas barbecue “cathedral” Louie Mueller Barbecue and Jonathon Sawyer from Cleveland faves Greenhouse Tavern and Trentina. 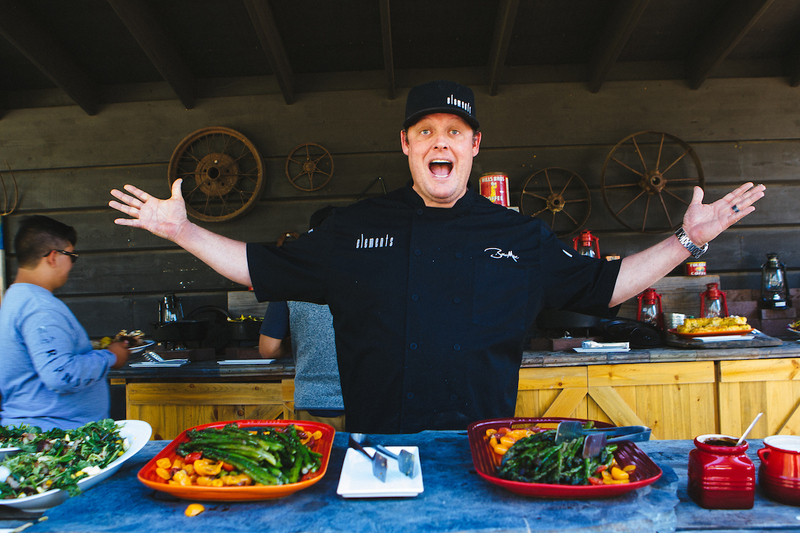 Paws Up’s own pitmaster extraordinaire Executive Chef Ben Jones will also spend the weekend putting his signature touch on all things grilled. In addition to eating to your heart’s content, attend great learning workshops, taste fine wines and craft beer and try your aim at sporting clays with Dennis Cakebread of Cakebread Cellars. 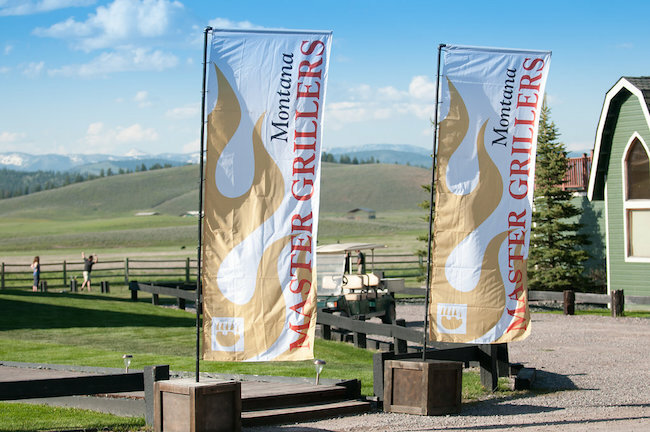 It’s really a perfect combination—five grilling masters summoning all their fiery talents under Montana’s Big Sky along with a plethora of wilderness activities to choose from. 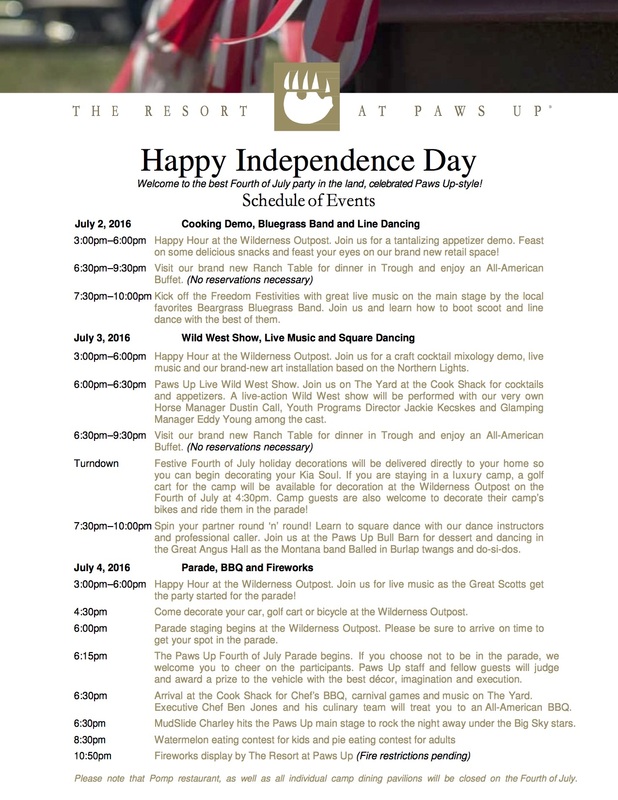 And to cap off each day’s festivities, enjoy nightly live music, including blues, country and soul. This lip-smacking event will make it a Memorial Day weekend to remember. 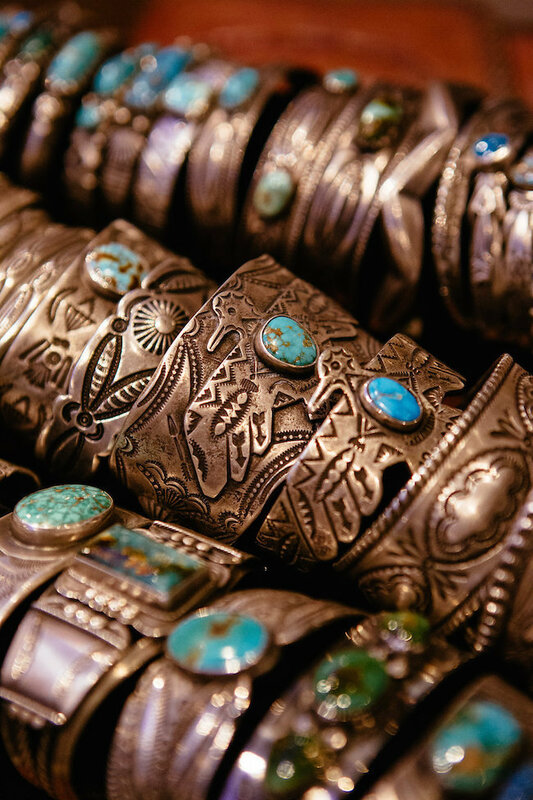 What you typically see in hotel gift shops, you won’t see at The Resort at Paws Up. We don’t do the typical gift shop thing around here. 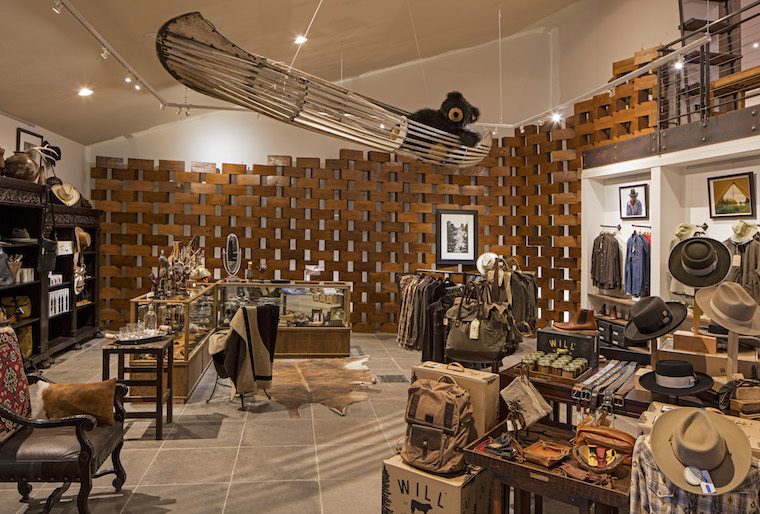 Instead, we’ve constructed the ultimate 11,000-square-foot rural boutique. The all-new Wilderness Outpost is the antithesis of a multipurpose building, but it serves multiple purposes. 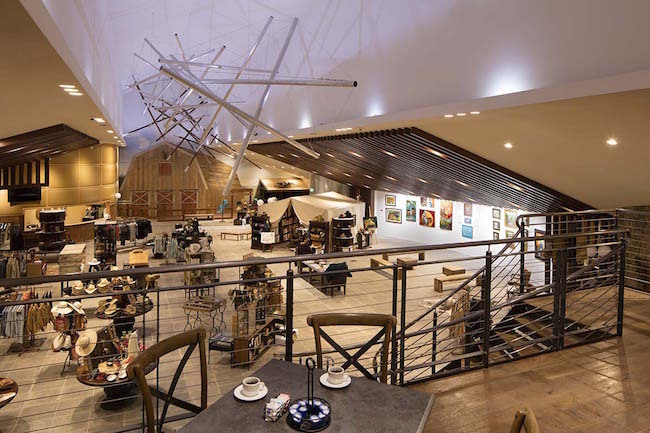 This is the place where you can check in for your horseback ride or river rafting excursion and the location where you’ll relax in our loft and enjoy coffee and organic snacks (sure beats a food court at the local mall). You can snag that pair of Frye boots you’ve had your eye on or purchase a masterpiece from renowned artists. It’s also the place to chill in the afternoon, with outdoor seating and happy hour 4 p.m. to 6 p.m in the summertime. 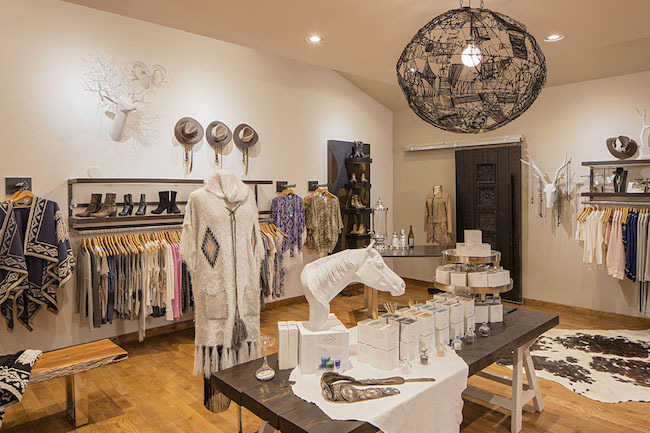 You see, the Wilderness Outpost (formerly called the Paws Up General Store) is all about sourcing items with a story. Featured brands include iconic names such as Chaco, Filson, Lucchese, Old Gringo, Stetson, Will Leather Goods, Woolrich and more. Featured artists/vendors include Behring Made Knives, C.Martini Jewelry, Michael Haykin, Kendahl Jan Jubb, Jayne Piazza, T Bird Leather, George Van Hook, Diane Whitehead and Antonia Wolf. Every Friday, you’ll get a chance to meet and chat with one of these artists in residence as they proudly display their work. This is not Rodeo Drive. It’s Whoa Road—home to the most unique shopping experience you’ll ever have. 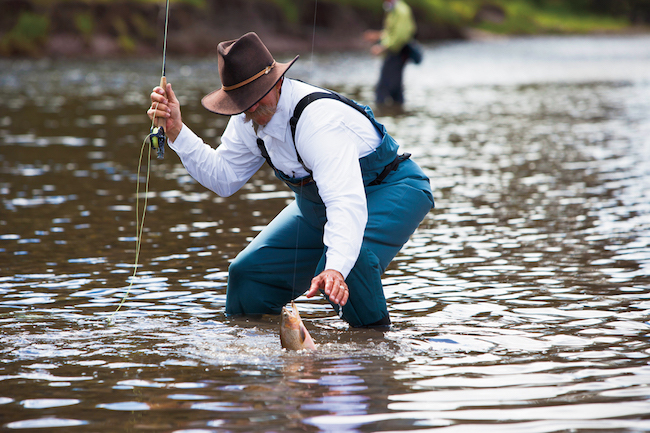 Fly fishing has been around for hundreds of years, but its popularity continues to increase. What is it about this sport that is so captivating? 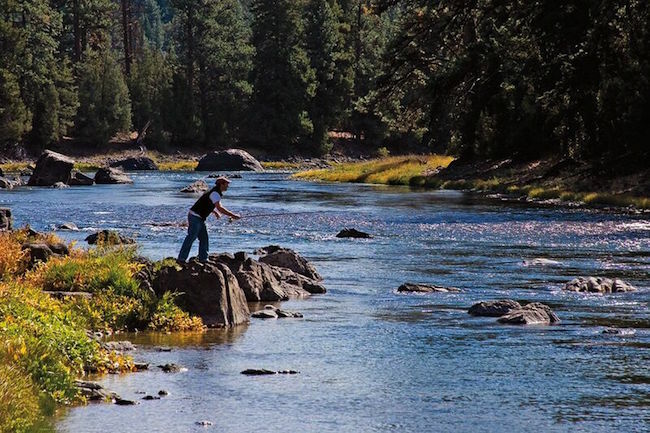 If you experience fly fishing at The Resort at Paws Up, you will understand after just one outing. Fly fishing gives you the opportunity to relax and spend time in nature, while also challenging yourself with a cool sport that’s perfect for families or individuals. And once you’re hooked, fly fishing may become one of the best excuses for travel. 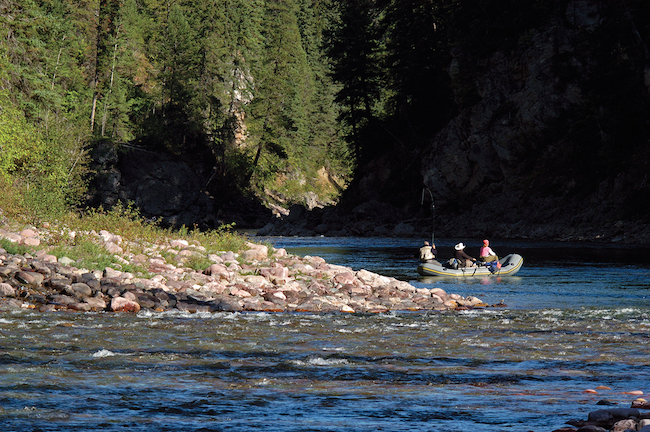 Montana is known for its abundant fly fishing, and Paws Up itself hosts 10 miles of the Blackfoot River—arguably one of the most famous fly fishing rivers thanks to the movie A River Runs Through It. 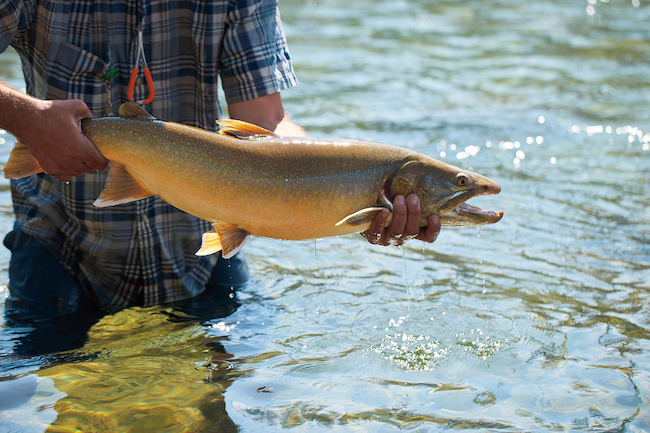 At Paws Up, we offer spin rods for guests who are more comfortable with this style, but only for independent fishing. All of our guided excursions are strictly fly fishing, and all of our guides are Paws Up staffers, so you’re guaranteed the best learning techniques, assistance and service. We offer a fly fishing experience to remember. The quality of fly fishing during the next three weeks dramatically increases. “With the water levels continuing to drop and the river getting clearer, the fishing the next couple of weeks will be off the hook! Pun intended,” says Montana Outfitter Justin Capps. “The next couple of weeks we will see most of our summer hatches. With the salmon fly hatch winding down the fish will start to turn their attention toward other aquatic insects. Golden stones, yellow sallies, Pale morning duns, Green drakes and caddis will make up the majority of the bugs we will see. Also, hopper season is just around the corner. Grasshoppers will start moving toward the water for greener grass, and once there they will accidentally get blown into the water by the afternoon breezes. Trout can’t resist them, so it’s a win-win,” says Justin. At The Resort at Paws Up, we also have an on-site stocked pond that children who are just learning to fish can visit. Spin rods are used here, and it’s always a huge hit. 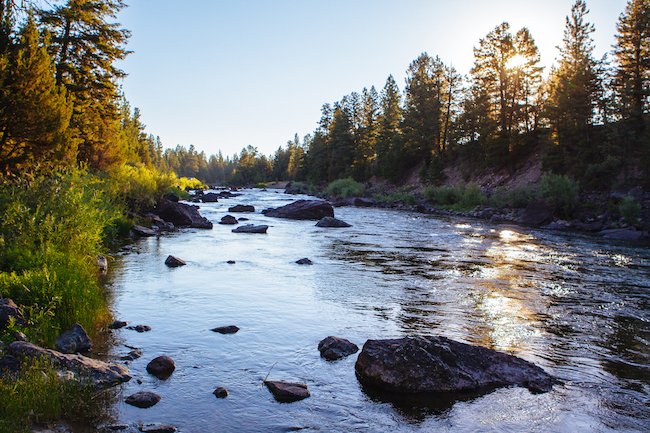 The Resort at Paws Up is an angler’s retreat located within the “golden triangle” of western trout fly fishing. 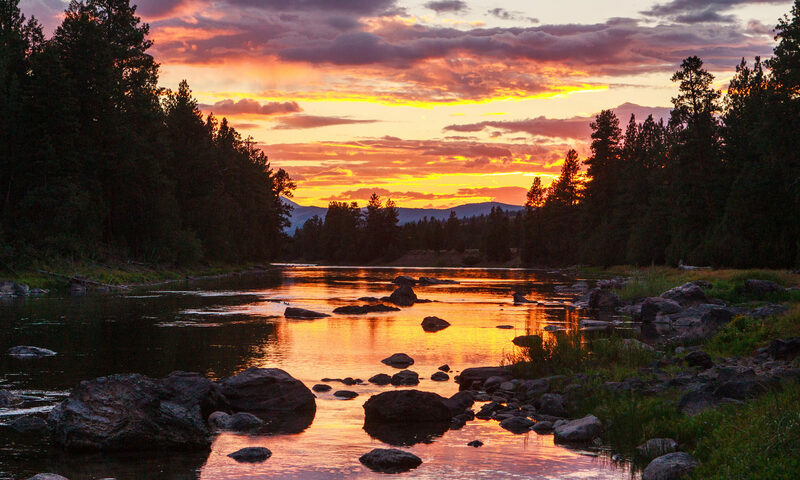 It boasts legendary rivers on property or nearby—including the Blackfoot, Bitterroot, Clearwater and Missouri. 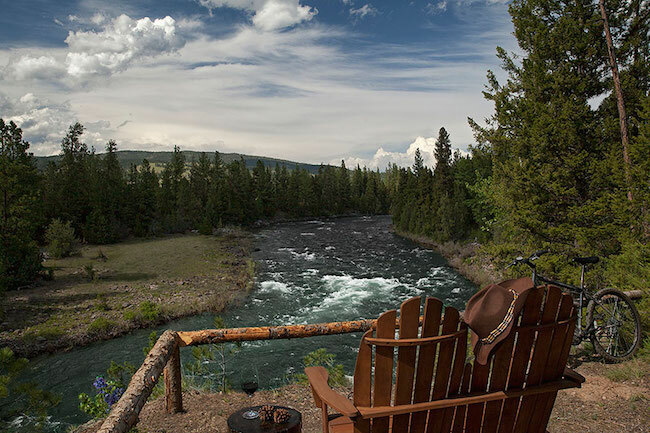 So whether you’re checking off a few more Montana rivers from your wish list or are ready to pioneer into some true trout wilderness, this is the place for you. 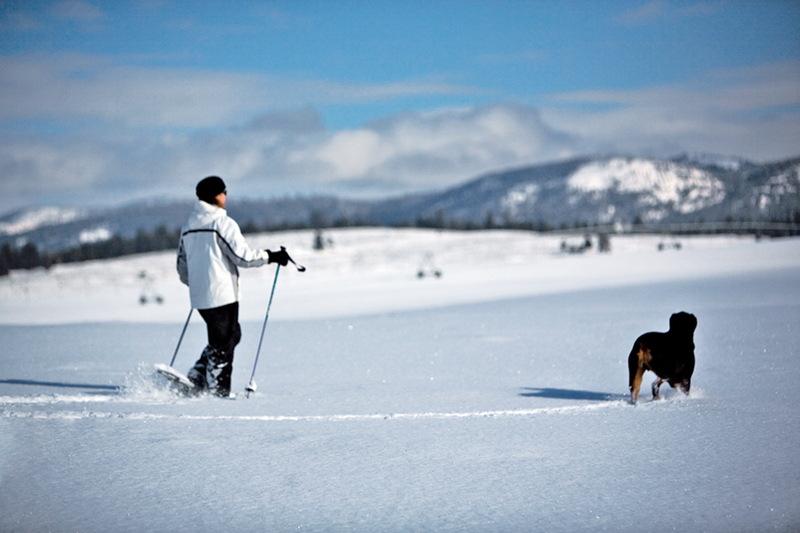 Did you know that Montana is known as “the last best place?” Visit us at the Resort at Paws Up in Greenough, and you will be in on the secret, too. June is an incredible time to experience our resort and all it has to offer. 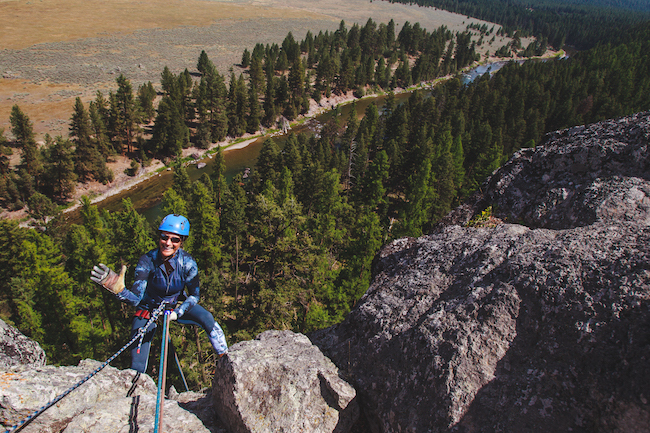 From Montana’s long sunny days and optimal seasonal weather to the abundance of outdoor adventure that awaits, it’s the summer vacation getaway you and your family will never forget. If that isn’t enough to entice you, then here are 6 wonderful ways that Paws Up is winning in June. 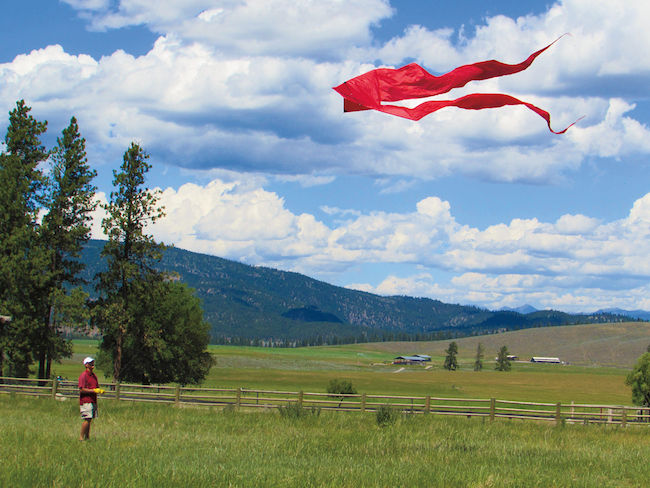 Brett Morris and his wife, Diane, have been featured participants at various kite festivals for more than a decade, and they’ll be taking to the beautiful big skies at The Resort at Paws Up this month. Build your own kite, and learn a few new tricks. Or, just sit back and relax as Brett and Diane’s trick kites and quads decorate the sky—you won’t be disappointed! You will learn all about kite building and flying, plus experience demos. All workshops are complimentary. Father’s Day Weekend means it’s time to earn an extremely tasty, different kind of degree—perhaps a 375F degree for the perfect burger, or a 140F degree for a succulent medium steak. 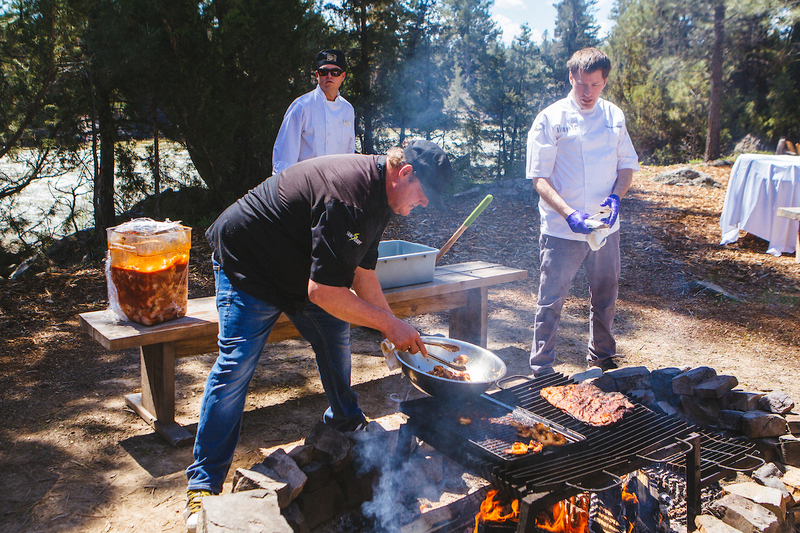 As part of the first BBQ-U, Montana Master Grillers alums Sam Huff (Sam’s BBQ-1 in Georgia) and Danny Fischer (Baby Blues BBQ in California) will conduct outdoor grilling demonstrations that will transform you from backyard beginner to searing expert. 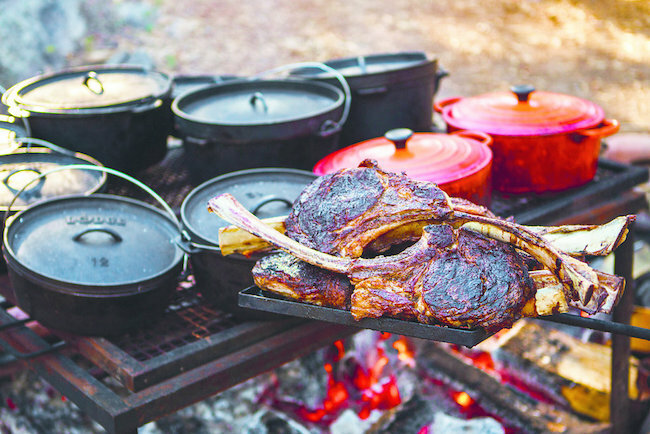 You will learn the techniques to expertly cooking meats and veggies from these pros—and—just as grand—this “university” will take place in Montana’s majestic outdoors. 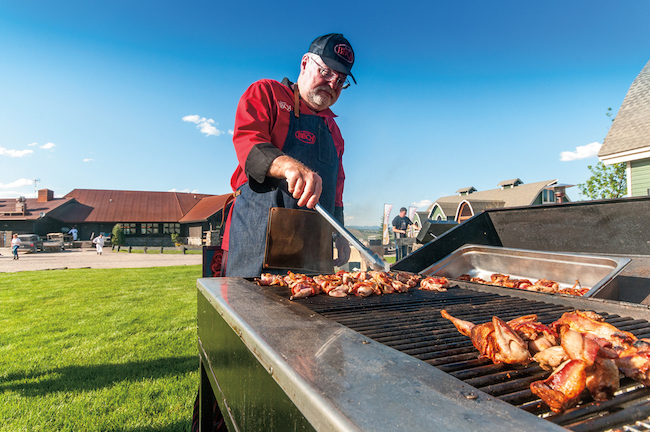 For barbecue enthusiasts faithfully devoted to the way of the grill and the passion of the flame, BBQ-U is the must-attend event of the summer. All participants are sure to get an A for appetite along with advanced barbecuing skills. Whether you’re the family Picasso or you struggle just to draw stick figures, Bottle & Bottega will bring out your inner artistic talent. This fun, hands-on art session will be totally relaxed, friendly, and filled with step-by-step instruction. 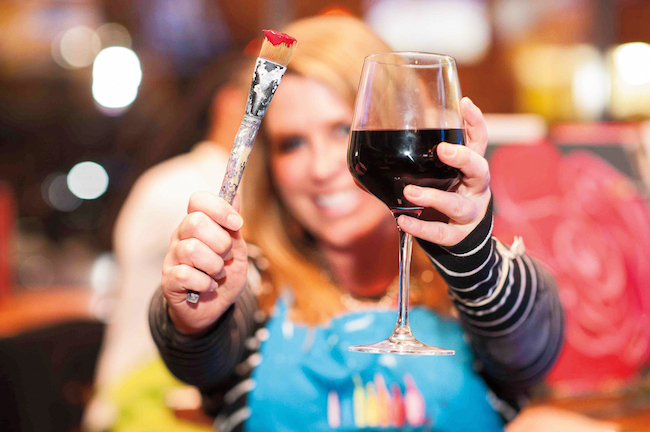 No matter what your skill level is, we promise you will produce a painting to be proud of—there’s even plenty of wine to help get your creative juices flowing. We’ll have outdoor afternoon sessions in some of the most inspiring locations on the ranch, and sunset and alfresco evening sessions at individual luxury camps. There will also be a handful of vino-free sessions at the Kids Corps of Discovery, so family members of all ages will have a chance to express themselves. Looking for the best way to spend Father’s Day? 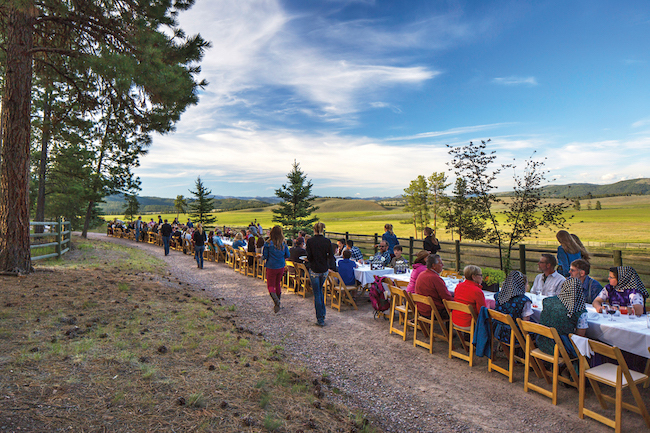 Join us at a Montana Long Table to dine with ranchers, farmers and food artisans who make the cuisine at The Resort at Paws Up so special. Chef Danny Fischer and Chef Sam Huff, along with Chef Ben Jones, will create a five-star menu that dad will love. Along with amazing live music, this mouthwatering adventure may become your new favorite summer tradition. 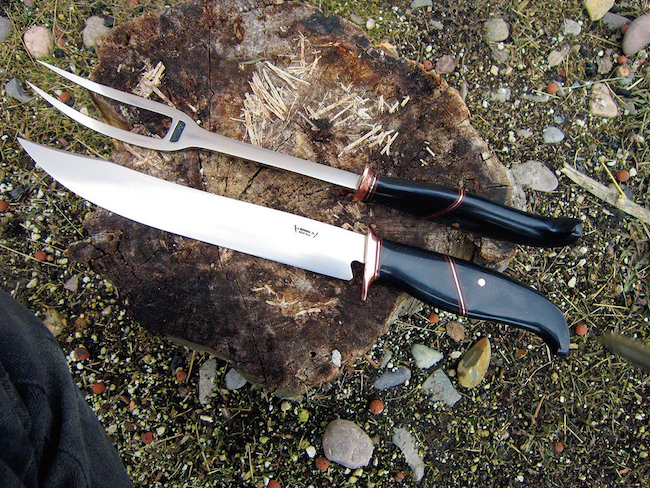 Don’t miss this unique trunk show featuring custom handmade knives, hunting knives and cutlery from Behring Made Knives, as well as a variety of goods from C. Martini “wearable art,” custom couture pieces (no two are the same) and fine art by renowned wilderness artist Diane Whitehead. Spice up your June stay with a special culinary event featuring the talented chefs of Lindo Michoacán, Las Vegas’ No. 1 Mexican restaurant. In collaboration with our Executive Chef Ben Jones, they’ll rustle up all the flavors of one of the world’s most exciting cuisines. 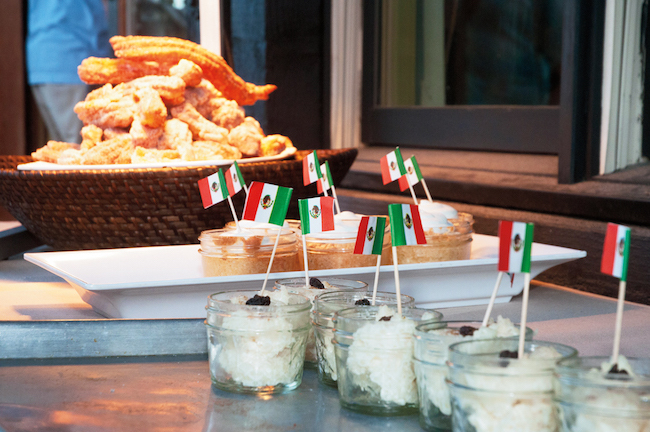 Mingle with fellow guests and resort staff, learn some new culinary skills, taste signature cocktails spiked with Dulce Vida organic tequila, enjoy deliciously authentic Mexican dishes, and kick up your heels with live entertainment from our outdoor stage. The Most Luxurious Dude Ranch On The Planet? That’s what the Lost Gatos Town Crier said. 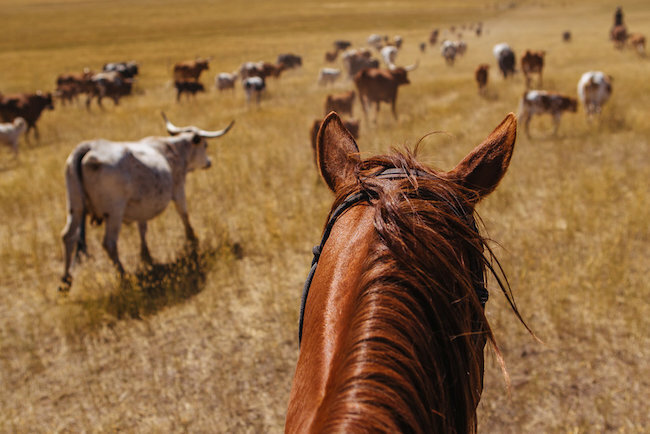 To quote them exactly: “There’s a place in Montana that looks like a scene from the Old West yet may be the most luxurious dude ranch on the planet.” We couldn’t have said it better ourselves.